Morro and Jasp are clown sisters who live in Toronto, Ontario (that's in Canada...in case you are reading this from a far away country). They like to make plays and perform them for people all over the world. They also make movies, books, songs, and are currently developing a graphic novel, a video game, and a TV pilot. Watch out, prime time. Up Your Nose and In Your Toes Productions (U.N.I.T) is a non-profit theatre company dedicated to breaking social norms and identifying the flaws that we, as a society, work hard to cover up. Through energetic and unapologetic work mixed with a covert and multi-disciplinary approach, we seek to help people rediscover joy, truth and creativity, not as a passing moment but as an important part of everyday life. We hope to heal the world one smile at a time. U.N.I.T. 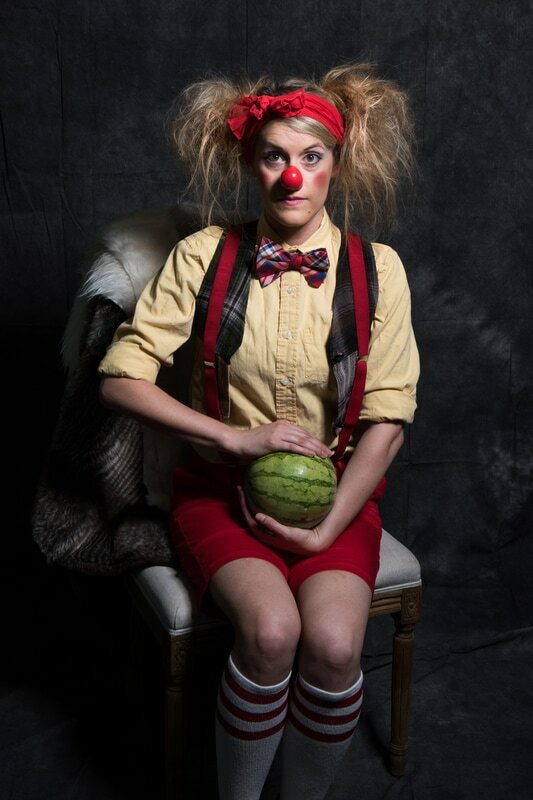 Productions, the home of the Morro and Jasp clown series, is the brainchild of Heather Marie Annis, Byron Laviolette and Amy Lee. The company has been nominated for three Dora Mavor Moore Awards (winning the 2012 Award for Outstanding Performance by an Ensemble in the Independent Theatre division), three Canadian Comedy Awards (winning the 2014 Award for Best Variety Act), a BroadwayWorld Award and over ten NOW Magazine Awards including Outstanding New Play, Outstanding Production, Outstanding Ensemble, and Outstanding Direction. Their cookbook, Eat Your Heart Out with Morro and Jasp, was published by Tightrope Books and won a 2015 Gourmand World Cookbook Award for Best Innovative Cookbook. U.N.I.T. Productions’ mainstage shows include Morro and Jasp in Stupefaction (Co-Production with Kabin), Morro and Jasp: 9-5 (Co-Production with Factory Theatre), Of Mice and Morro and Jasp, Morro and Jasp Go Bake Yourself , Morro and Jasp Gone Wild, Morro and Jasp Do Puberty and Morro and Jasp Go Green (TYA). Morro and Jasp have also performed shorter pieces, including Morro and Jasp Lost and Found (Magnetic North) and Morro and Jasp In a Pickle, and hosted numerous cabarets. 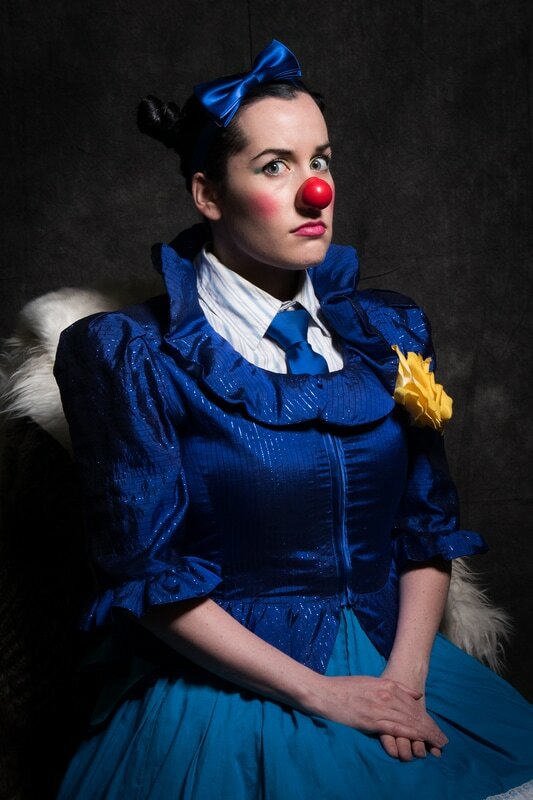 They have performed at Fringe Festivals in Toronto, Winnipeg, Edmonton, Halifax and London; the Edinburgh Festival Fringe; the Clownin Festival in Vienna; the NY Clown Theater Festival and Amuse Bouche Festival in New York City; the SubDevision Festival at Magnetic North; the undercurrents Festival at the GCTC in Ottawa; Theatre Sainte Catherine and the Centaur Theatre in Montreal; The Orillia Opera House; the Vaughan City Playhouse; the Toronto Festival of Clowns, Lab Cab Festival, Pandemonium Machine, Cahoots Theatre, Harbourfront Centre and Factory Wired in Toronto. They recently completed a run of Of Mice and Morro and Jasp at the Manitoba Theatre for Young People in Winnipeg, touring high schools throughout Manitoba. They are currently Canada Council creators-in-residence at Factory Theatre developing a Sherlock Holmes adaptation as well as creating a new show for the 2018 Toronto Fringe. To find out more about Heather, Amy and Byron, click here. We wouldn't get very far without a little help from our friends. Help us celebrate our donors, by recognizing them here.